I began by making the monster head. 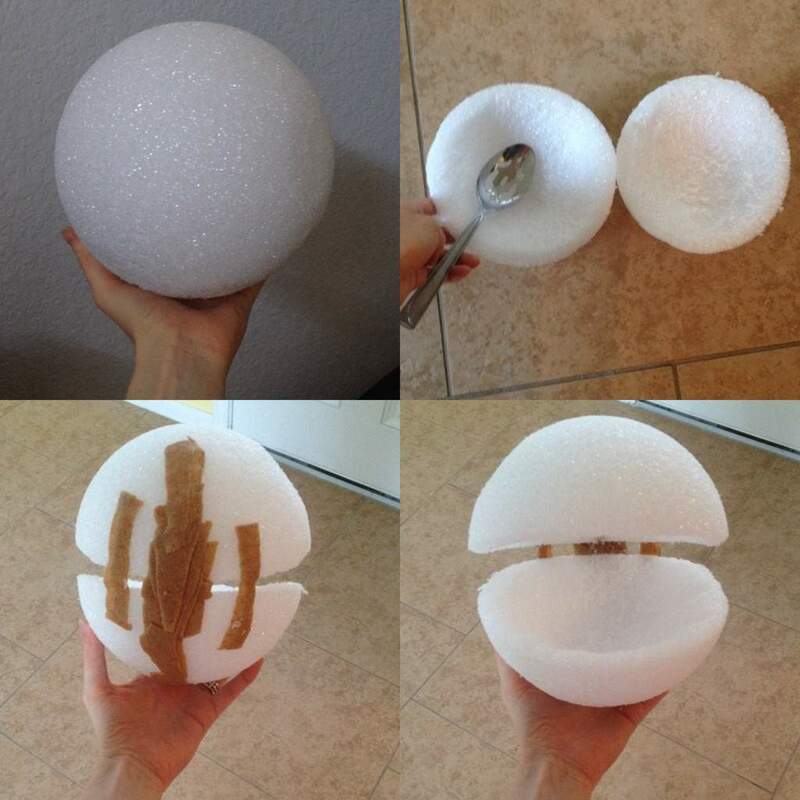 First I took the Styrofoam ball and cut it in half. Using a spoon I hollowed out each half to create the mouth area. 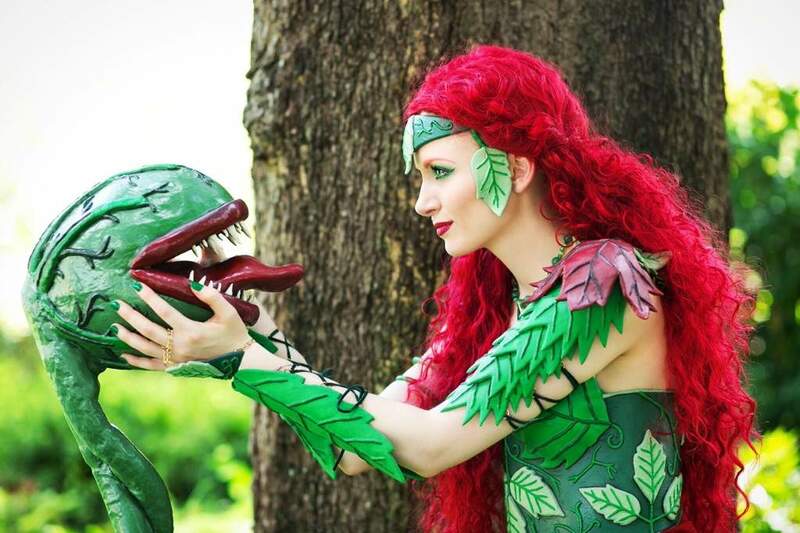 I then heated scrap strips of Worbla with a heat gun and connected the two halves by adhering them to the Styrofoam, while holding the halves into the desired position (creating an open mouth effect) and letting the Worbla cool. Once cooled, the base head shape was complete. 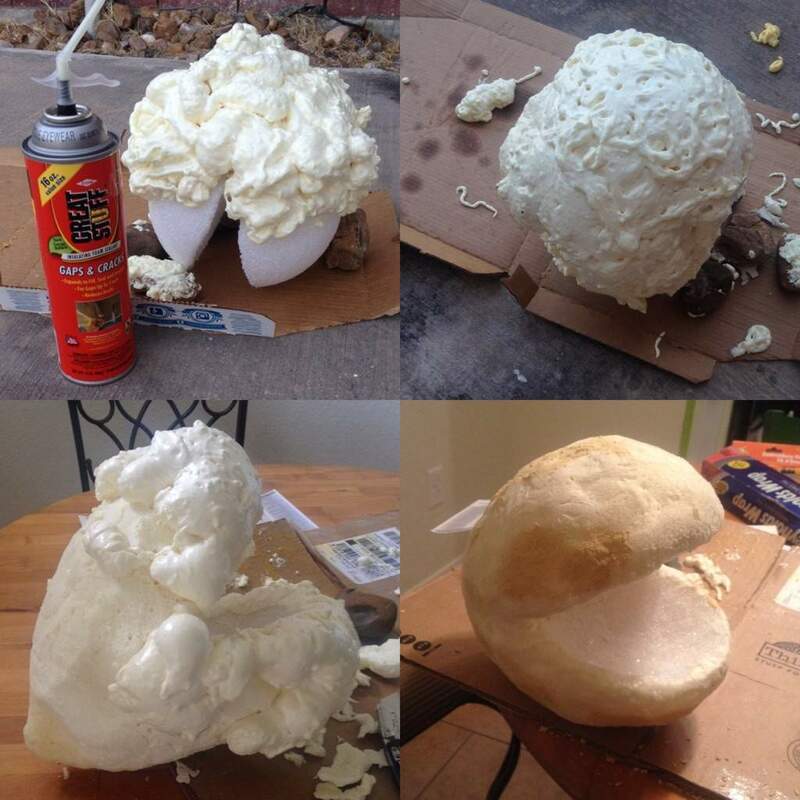 Next I used rocks to hold the Styrofoam base in place (mouth down) and sprayed the back of the head with expanding foam. Once dried, I carved the foam with a utility knife and smoothed it with sandpaper. 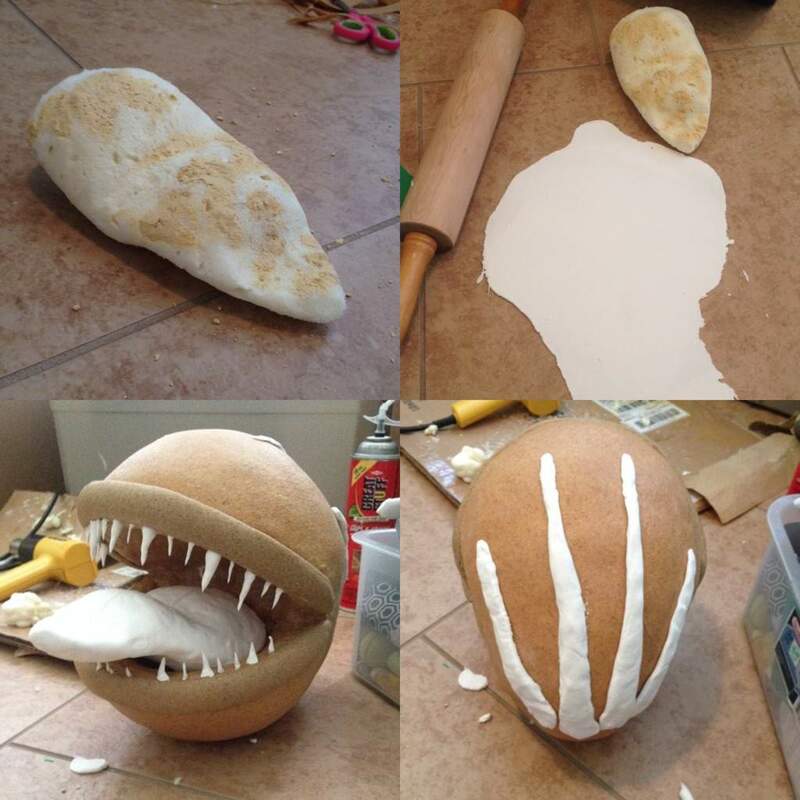 I then repeated the process on the front of the head around the mouth area, propping it up with rocks, spraying it with expanding foam and carving/sanding it once dry. I filled in the grooves left from air pockets in the foam with wood filler. This next step is optional, but I wanted to achieve a smoother surface before covering the head with Worbla, so I took paper clay and rolled it into a very thin sheet with a rolling pin. I then covered the outside of the head with the clay sheet, let it dry, and sanded it smooth. 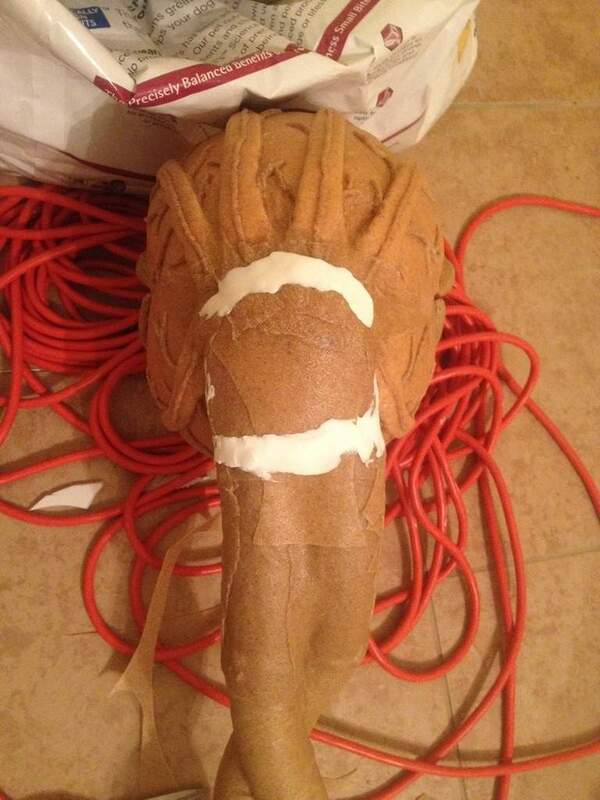 Next, using my heat gun I covered the outside of the head and the inside of the mouth with Worbla. To make the lips I measured the lengths I would need to cover the bottom and top edges of the mouth. I cut the end of one of the polyethylene cylinders to the length of the longer of the two lip measurements. Using scissors I then cut this cylinder in half, width-wise, to create the base of the top and bottom lips. I further cut the lips into shape, tapering the ends, and making sure each fit around the mouth edges properly. I then covered the lips with Worbla and adhered them to the head via heat. 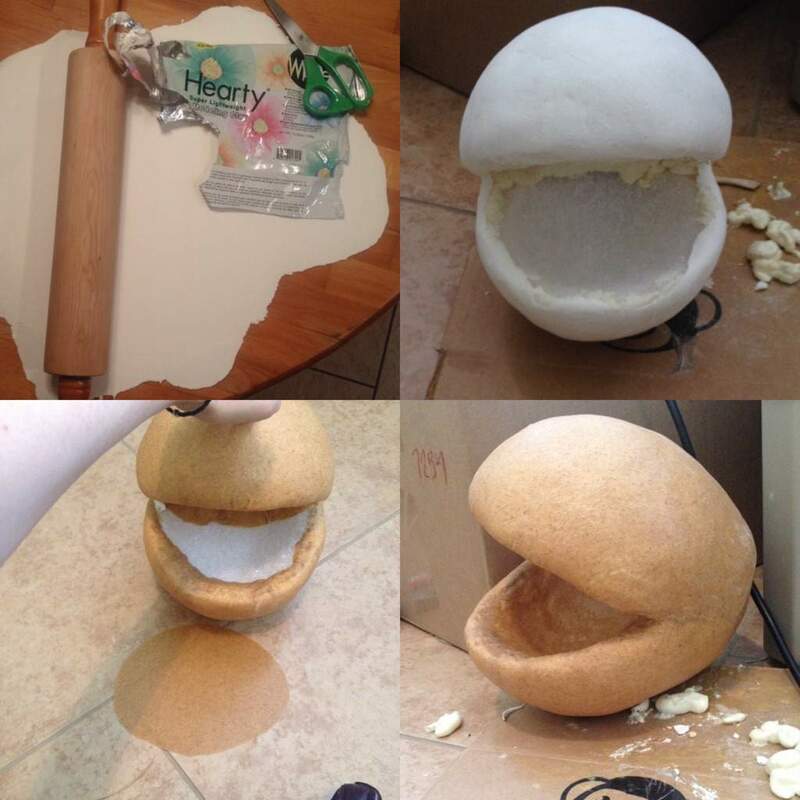 Next I sprayed expanding foam onto a work surface (I used carboard) into the rough shape of a tongue. 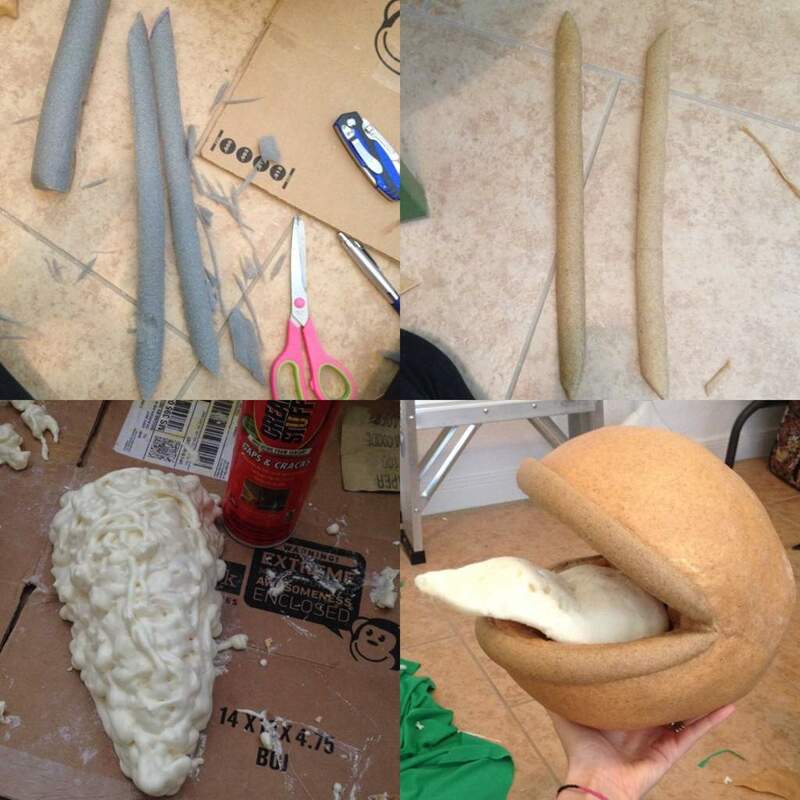 Once dried, I carved and sanded the tongue into shape using a utility knife/sandpaper. I filled in any grooves with wood filler. Using the same method as before, I rolled paper clay into a thin sheet using a rolling pin. I covered the tongue with the sheet, let it dry and sanded it smooth. Then, using paper clay, I made teeth and plant tendrils to cover the top and bottom of the head. 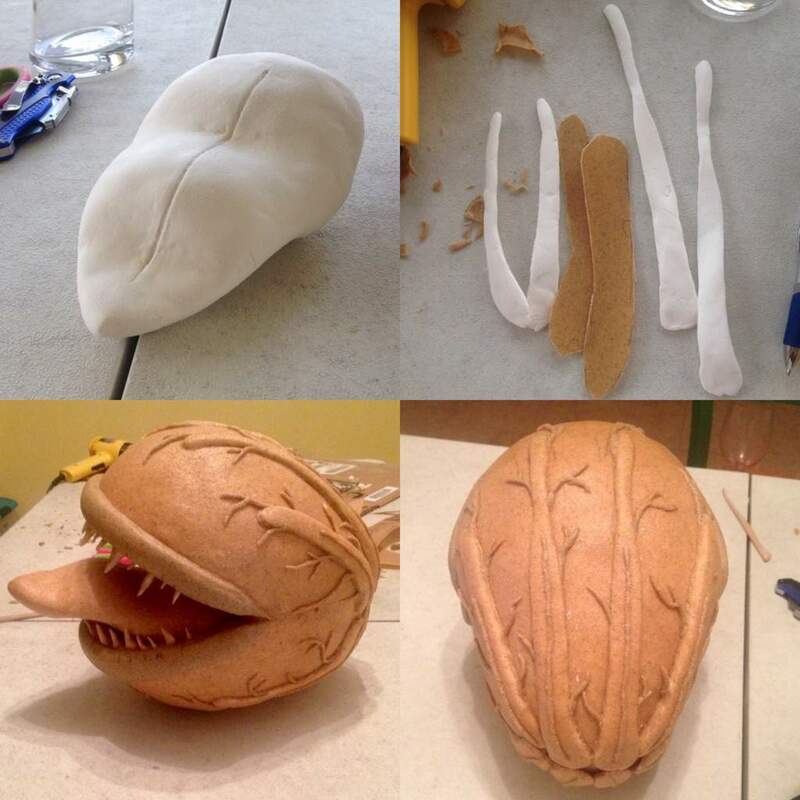 Finally, I covered the tongue, teeth and tendrils with Worbla and adhered them to the head via heat. 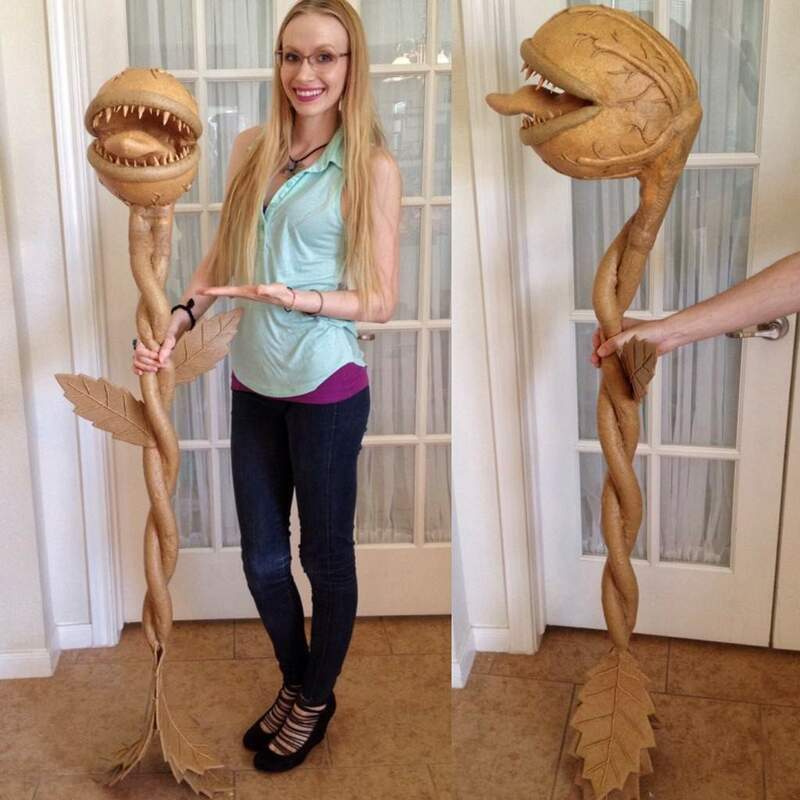 I heated scrap strips of Worbla and rolled them into thin cylinders and created organic root/vine-like details snaking off of the head tendrils; and with that the head was complete. Once the cylinders were covered, I snaked the two cylinders around each other and heat formed them together. This step takes patience. 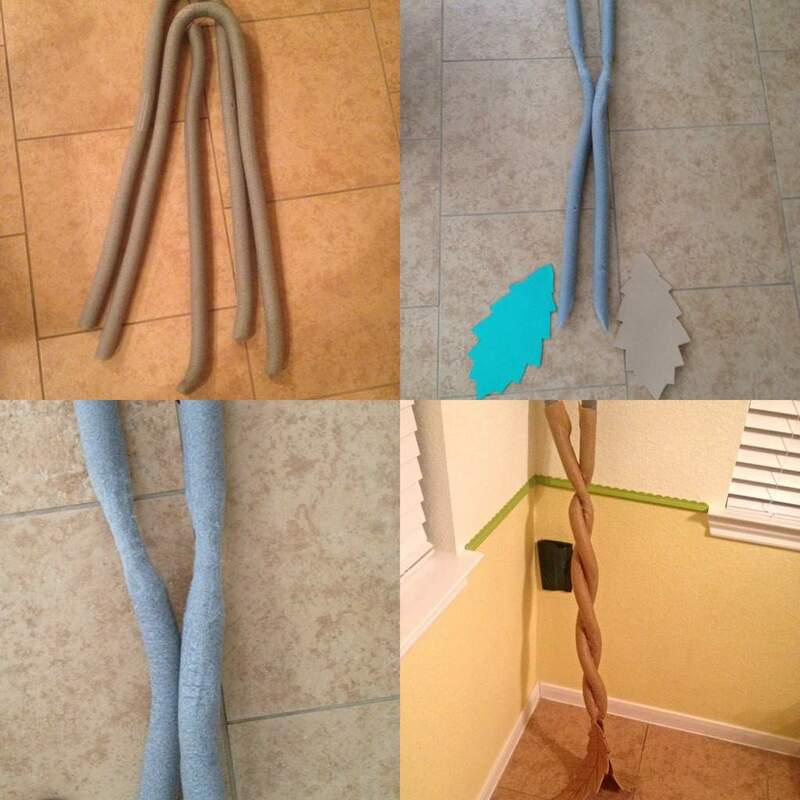 The Worbla has a tendency to rip when being twisted in this manner, so taking this step one small portion at a time (heating, carefully, intertwining and letting cool) slowly working your way along the length of the staff is highly advised. I also had to make sure I aligned the two sections I narrowed for the grip together correctly to ensure I’d have a comfortable area to hold the staff. To further smooth out the Worbla scrap pieces (as shown above) I later heated the area and smoothed out the edges with sculpting tools. 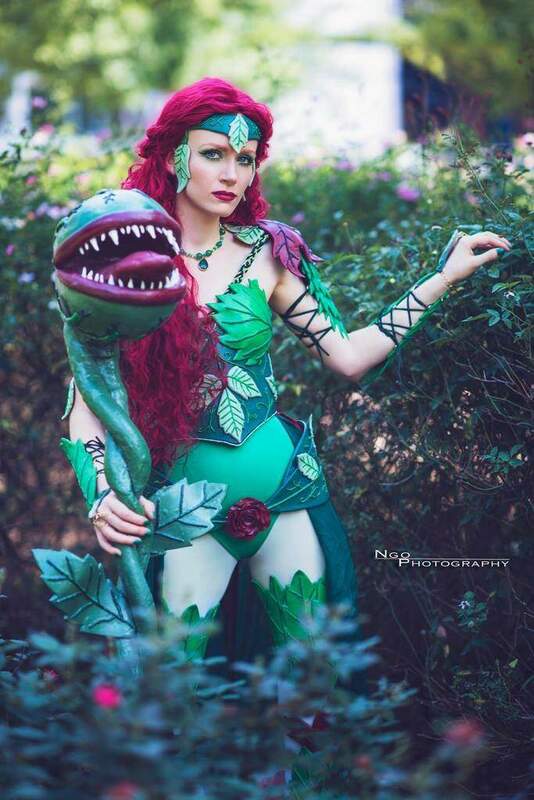 Thanks again to Methyl Ethyl Cosplay for sharing this with us!